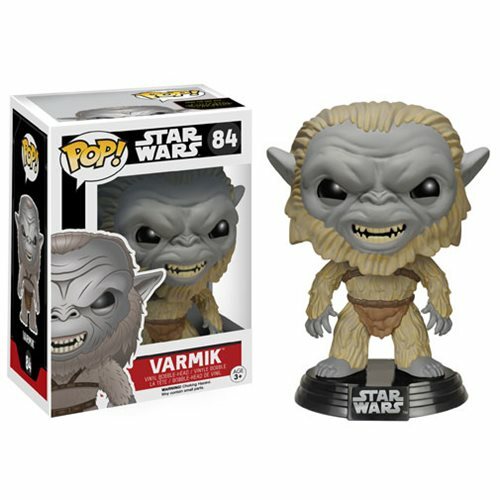 From Star Wars: Episode VII - The Force Awakens comes Varmik as a Pop! Vinyl Figure! Travelers, smugglers, and riff raff can be found at Maz Kanata's castle and Varmik falls into... at least one of those categories. This Varmik Pop! Vinyl Bobble Head measures 3 3/4-inches tall and comes with a decorative Star Wars stand. Ages 3 and up.